Never-Trump Republicans in Washington never pass up an opportunity to undermine Donald Trump’s agenda. These RINOs constantly stab the President in the back on the issues he and his supporters care about most. But now one Never-Trump RINO just gave Donald Trump the biggest surprise of his life. Mitt Romney was one of the original Never-Trumpers. The two-timed failed Presidential candidate did everything in his power in 2016 to derail Donald Trump’s Presidential campaign. When that failed, Romney ran for Senate so he could lead the RINOs opposition to President Trump. Romney appeared on NBC’s “Meet the Press” where host Chuck Todd quizzed Senator Romney about the growing crisis on the Southern border. Romney stunned Todd and the viewing audience by not only agreeing with Trump that there was a crisis on the Southern border, but by declaring immigration to be a winning issue for President Trump in 2020. “In my opinion, the Democrats are making a huge error by making border security an issue and saying it’s a partisan issue. Look, this is an American issue. We can’t have millions upon millions of people flooding into our country without a border that’s secure, without ICE making sure the people that are here illegally are sent back. This is, this is a winning issue I think for Republicans. But more importantly, it’s a winning issue for Americans to say, “We have to have the sovereignty of our nation.” I think the president has tapped into something which the people feel very deeply,” Romney began. But Trump supporters saw through this farce. They wondered why, if Romney agreed there was a crisis along the Southern border, did he double cross the President by voting against his declaration of a national emergency to build a border wall with military construction funds. Trump supporters think Romney is merely posturing in public. They know that his actions speak louder than words. At every turn, Mitt Romney has worked with the Democrats to undermine Trump’s agenda or his nominees. 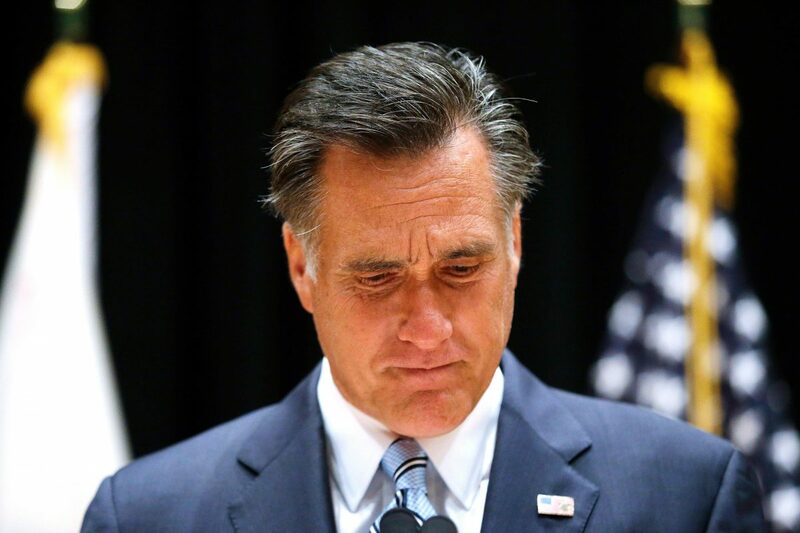 Romney doesn’t want to see Donald Trump re-elected. Critics believe Romney would like a Democrat in the White House come January 20, 2021. And they think Romney’s appearance on “Meet the Press” was designed to flash a warning sign alerting the Democrats that they are in trouble and need to change course.